Welcome to The Bunny store! The Bunny is a long-time handicraft manufacturing enterprise. We specialize in making fashion products and accessories for moms and babies. All of our products are made of premium natural materials in a smoke-free environment and safe for baby's skin. Suitable for babies aged 0-12 months, for both boys and girls. Color and light may differ slightly due to computer screens. 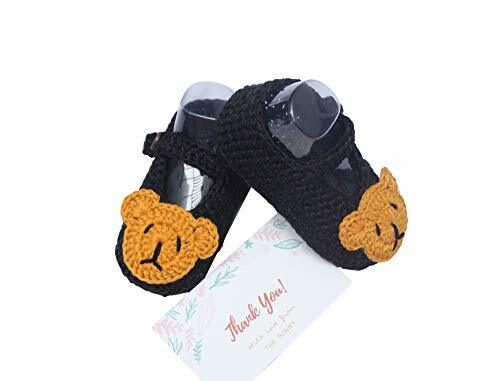 Package Include: 1 Pair of Baby booties, box and thank you card!